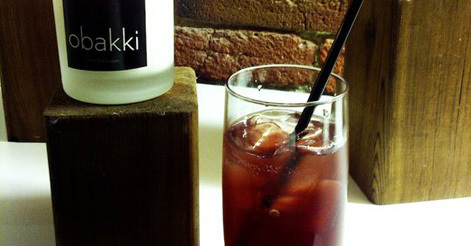 Last week we stopped by the bustling Obakki Spring ’11 collection launch party. This fun event showcased their latest road-trip inspired designs as well as an exclusive back door tour of the new Boneta location. We were impressed with Obakki’s chic new collection and recommend you pop in to take a look. Guests were invited to enter great prize giveaways including a fabulous 2-night stay at Spirit Ridge Vineyard Resort & Spa! Refreshing contemporary cocktails were served by the dozen. The feature cocktail of the evening was the ‘Hitchhiker’ (complements of Boneta), a delicious mix of Beefeater 24 Gin, sake, fresh lemon juice, green tea syrup, black cherry and sparkling water.